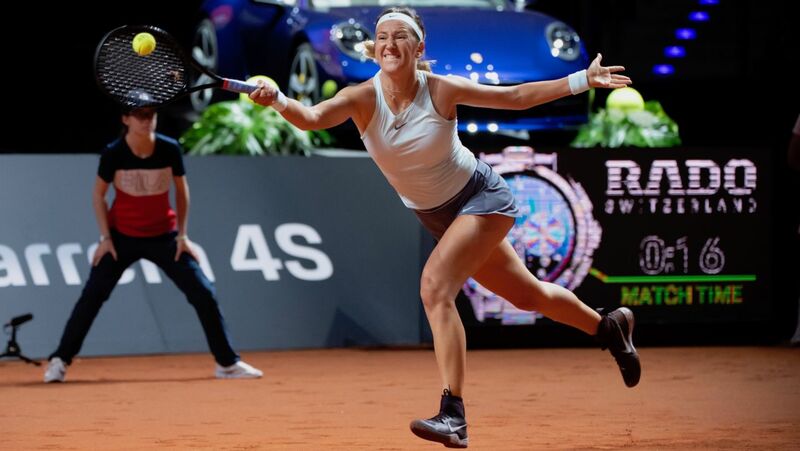 A highly-enthusiastic audience and enthralling matches at the Porsche Tennis Grand Prix – the capacity 4,400 crowd in the Porsche Arena certainly got their money’s worth on Thursday. 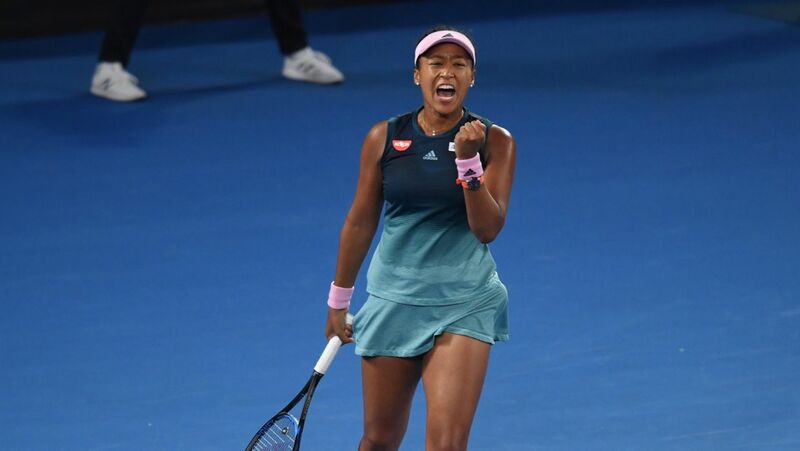 They saw the successful return of Naomi Osaka as the new number 1 on Centre Court and an impressive campaign opener for Porsche Team Ger-many’s Angelique Kerber. 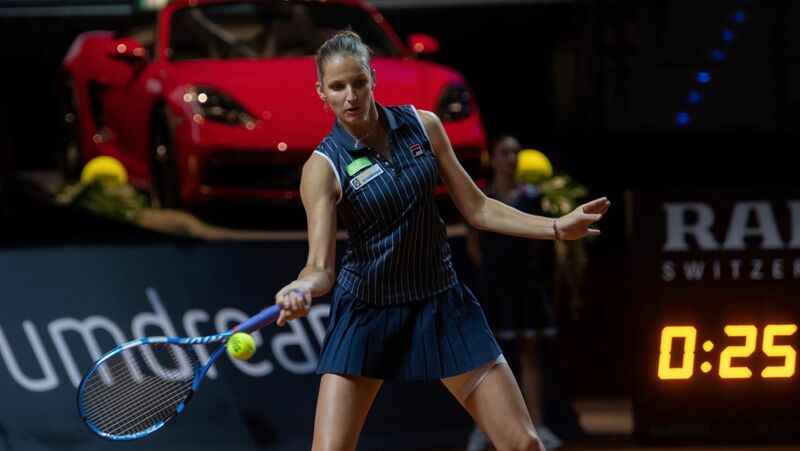 With the exception of the title-holder Karolina Pliskova, all the favourites have safely negotiated their way to the quarterfinals and are still in the running for the main prize – a Porsche 911 Carrera 4S Cabriolet. 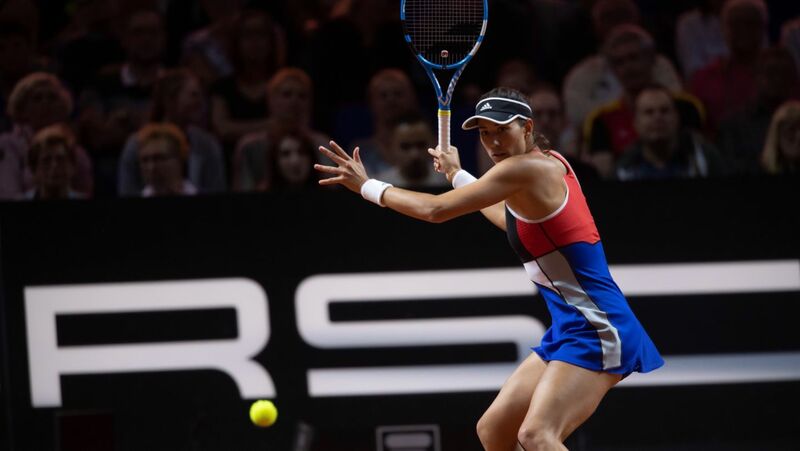 A heartfelt embrace at the net and rapturous applause from the stands – a fitting end to the all-German duel between Andrea Petkovic and Angelique Kerber in the Porsche Arena on Thursday evening. 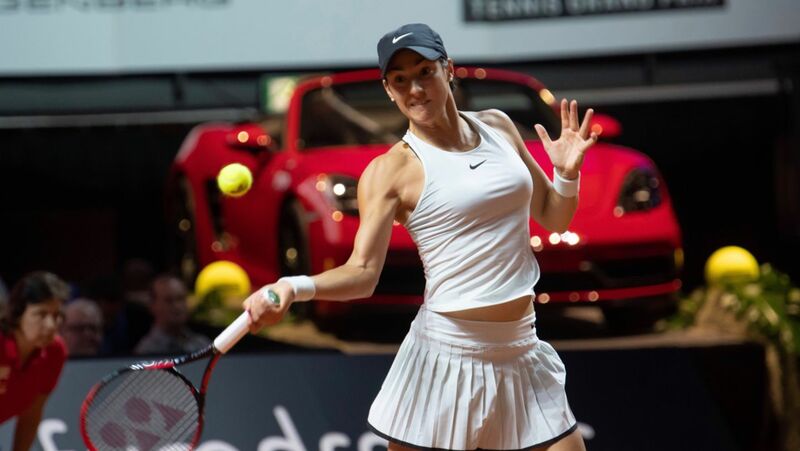 The good friends, who both play for Porsche Team Germany, had previously produced a remorseless 74-minute battle won by the reigning Wimbledon champion. 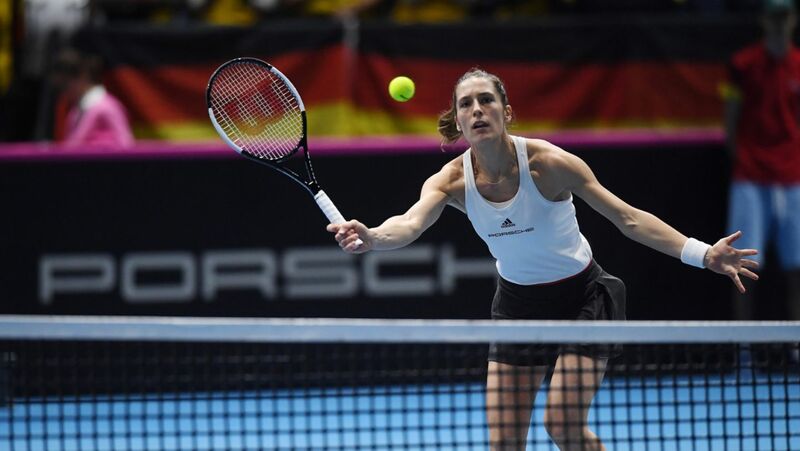 The plucky Andrea Petkovic was able to fend off three match points before eventually succumbing to the favourite Angelique Kerber, who advanced to the quarterfinals with a 6-2, 6-4 victory. 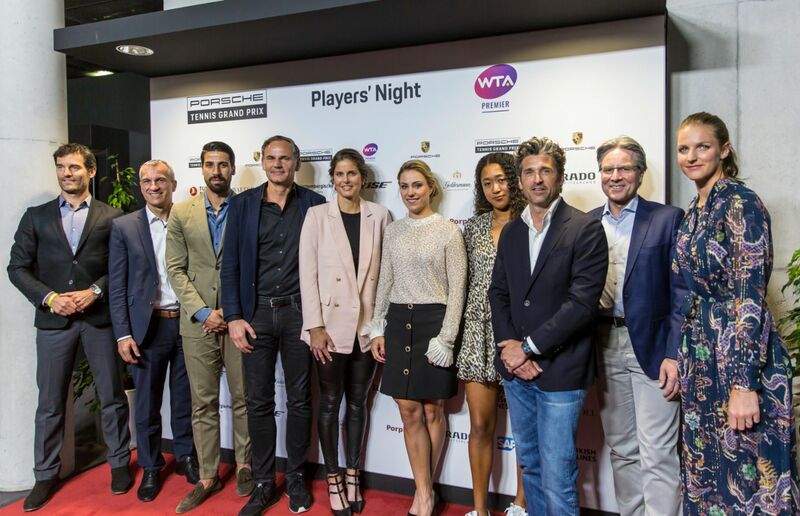 Wednesday was a thrilling day at the Porsche Tennis Grand Prix. It contained an impressive comeback from the Swiss Belinda Bencic and the first appearance of Petra Kvitova, the world No. 3 from the Czech Republic, in the Porsche Arena. 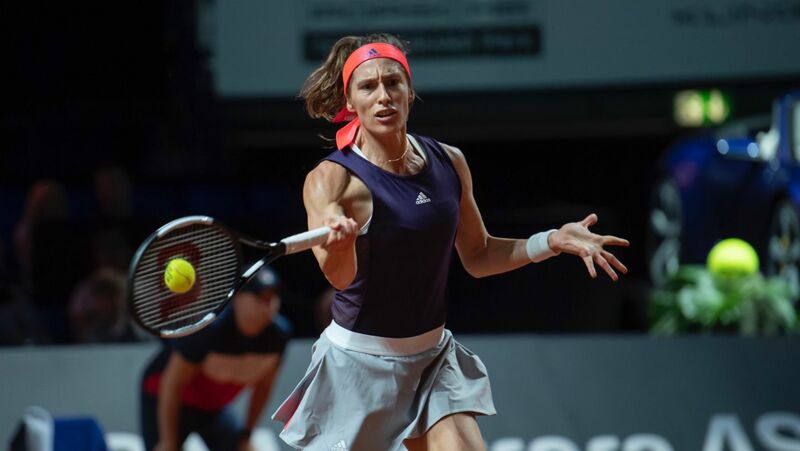 Thursday’s play however promises even greater things as the Japanese Naomi Osaka will enter the fray and Angelique Kerber and Andrea Petkovic will face each other in an all-German duel. It all will have no bearing on Julia Görges as the 2011 Stuttgart winner was forced to retire with a neck injury much to the disappointment of the 4,000 spectators. 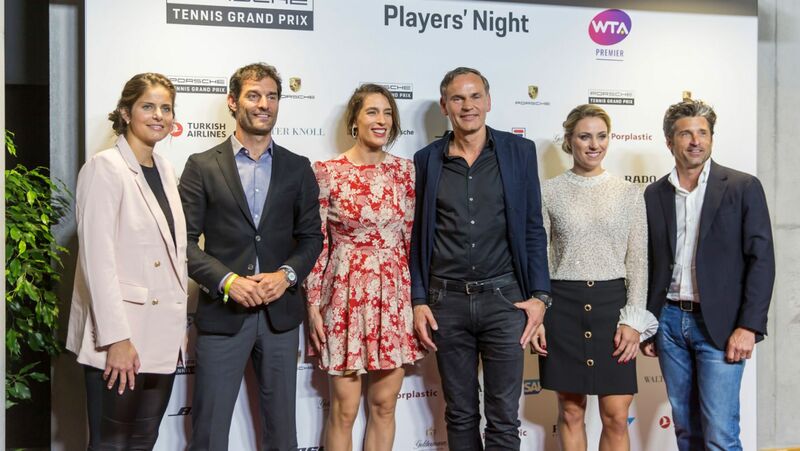 Andrea Petkovic and Laura Siegemund left their indelible marks on the Porsche Tennis Grand Prix on Tuesday. In front another large crowd in the Porsche Arena, they both comfortably won their opening matches. Anna-Lena Friedsam however failed to progress to the second round of the world class tournament. 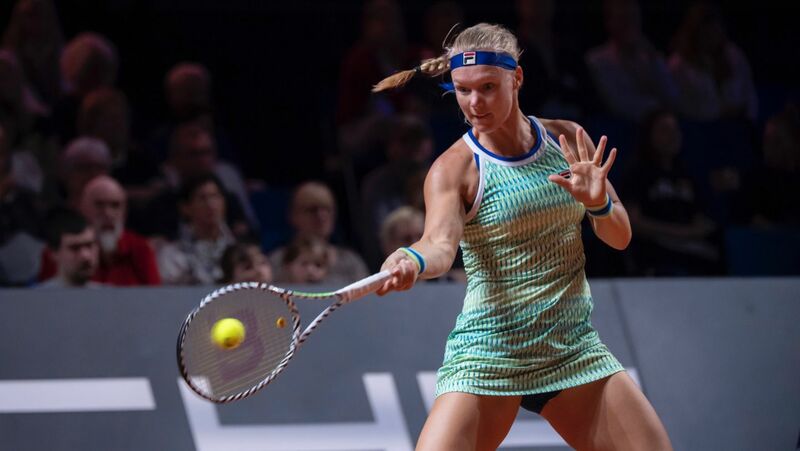 After putting up stiff resistance against Kiki Bertens, the Top 10 player from the Netherlands, she eventually succumbed in two hard-fought sets. 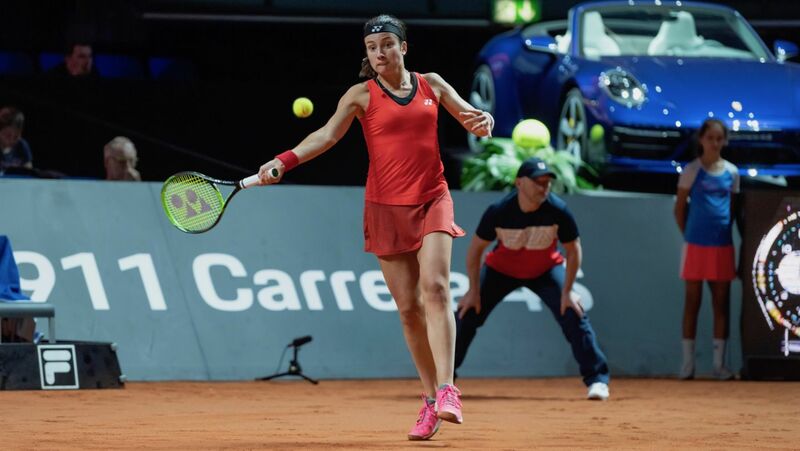 On Wednesday, Julia Görges has the chance to join her Porsche Team Germany teammates in the last 16. After missing out on the Porsche Tennis Grand Prix in the last two years, the current world No. 71 has high expectations for Stuttgart: “I’m not so far off from playing my best tennis. First the win in the Fed Cup and now the one here – it could well be the breakthrough for me.” However, her next match in the last 16 will be anything but easy as awaiting her on Thursday is her friend and compatriot Angelique Kerber. 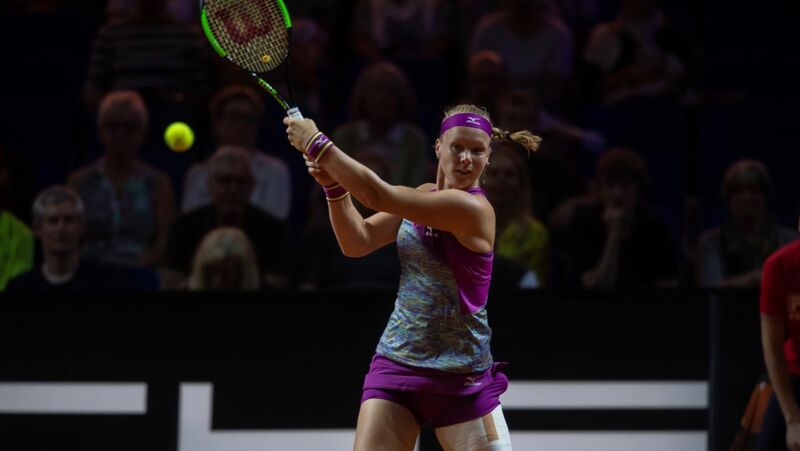 The double Stuttgart winner has taken the place of Simona Halep, who had to withdraw with a hip injury, at the bottom of the draw. It means she now has a first-round bye. 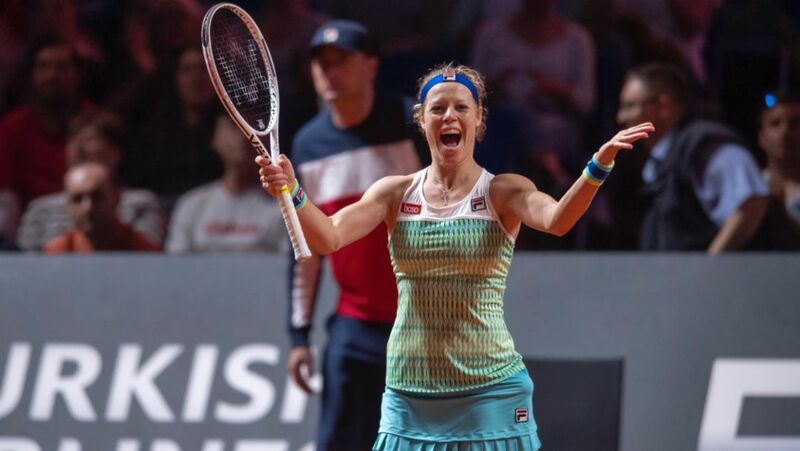 Laura Siegemund will now meet Anastasija Sevastova in the last 16 after the Latvian defeated her compatriot Jelena Ostapenko 6-2, 4-6, 6-0. 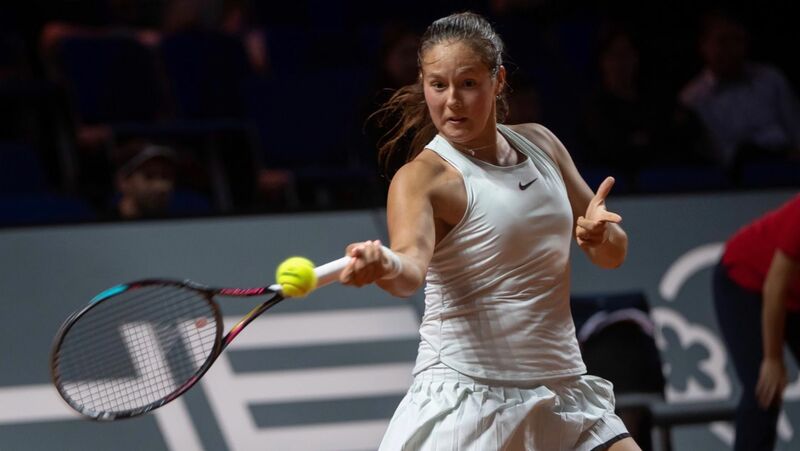 Also in round two is Daria Kasatkina (Russia) who won 7-6(8), 7-5 against Elise Mertens (Belgium). 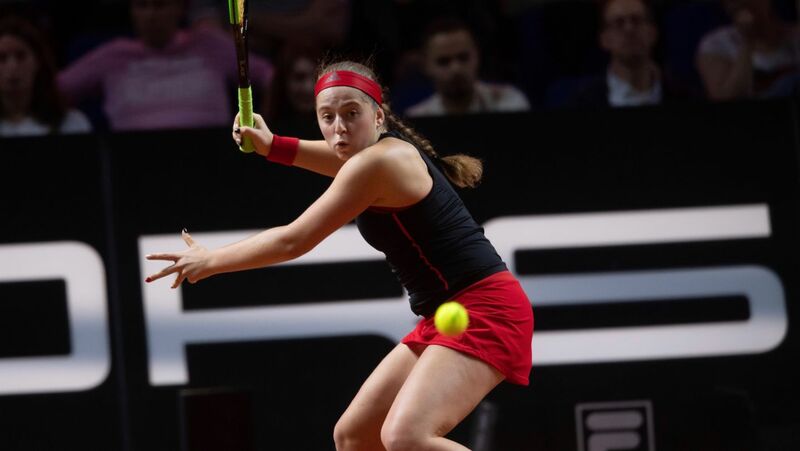 Greet Minnen (Belgium) was a surprise 7-5, 6-3 victor against Dominika Cibulkova (Slovakia) and will be back on court on Wednesday – against of all people Petra Kvitova. The Czech is the world No. 3 and the leader of the Porsche Race to Shenzhen, the qualifying ranking for the prestigious WTA Finals for the season’s eight most successful players. 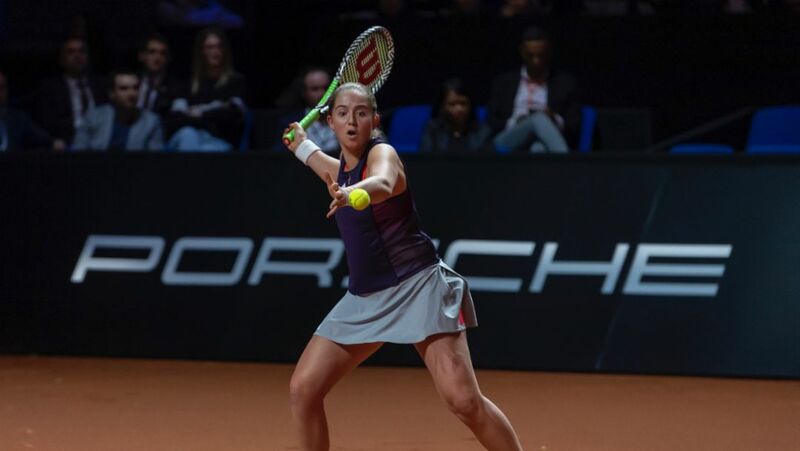 The spectators in the Porsche Arena celebrated the first winner at the 42nd Porsche Tennis Grand Prix: on Monday evening, Jelena Ostapenko won the Turkish Airlines Tiebreak which thrilled the fans on the first day of the tournament proper with an attractive mixture of sport and show. 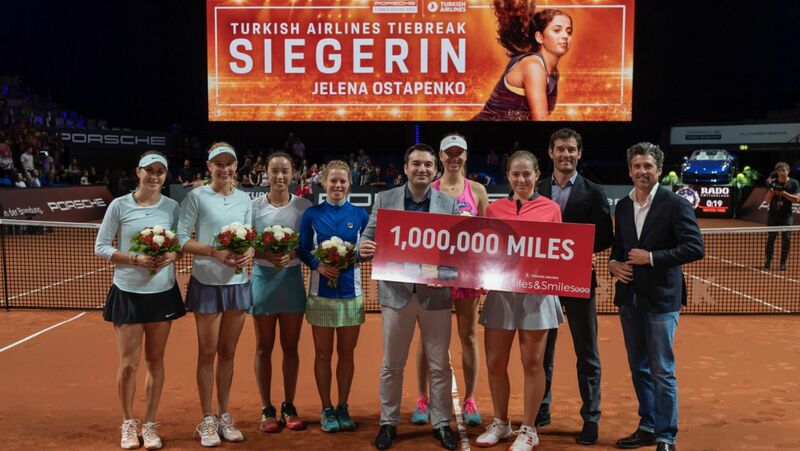 After beating the Swiss Belinda Bencic in the final, she secured herself one million bonus miles from Turkish Airlines. After the thrilling tournament in tournament and the qualifying finals, the Porsche Tennis Grand Prix will pick up pace on Tuesday when the first main draw singles matches are played. 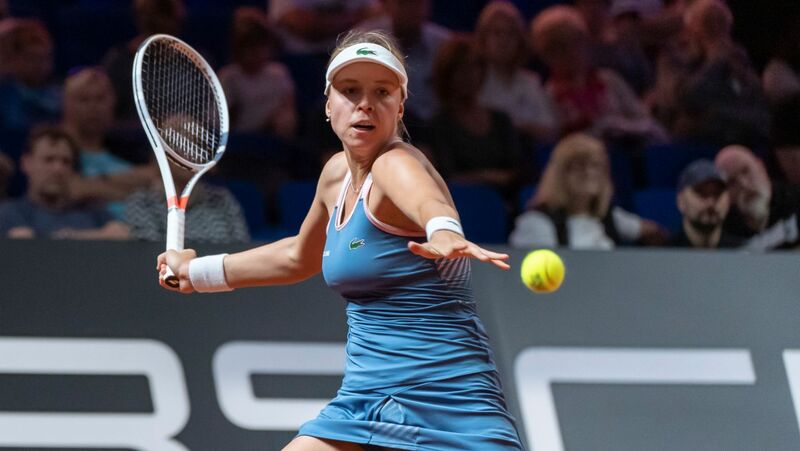 In the qualifying tournament by virtue of a wild card, she is now in the main draw: Porsche Team Germany’s Anna-Lena Friedsam won her qualifying final 6-4, 6-4 against the Czech Tereza Smitkova and has thus completed a German quintet at the Porsche Tennis Grand Prix. 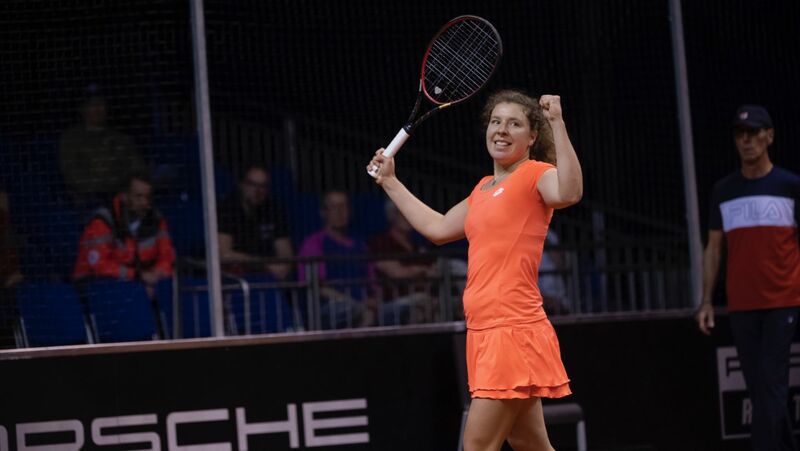 “I’m so happy to have made it to the main draw at this fantastic tournament,” said the 25-year old who plays in the top German league for the local TEC Waldau Stuttgart club. “Immediately in the year’s first tournaments, I felt I was in pretty good form after my long injury break. Now I want to go as far as I possibly can.” It will not be easy as she will face Kiki Bertens, the world No. 7 from the Netherlands, in her opening match on Tuesday. The second German hope in the qualifying finals, Anna Zaja, however narrowly missed out on a place in the main draw. After winning the first set 6-1 and losing the second by the same score, she was 5-2 up in the decider. However, the Spaniard fought her way back to eventually win the enthralling match in the tiebreak. She is now Andrea Petkovic’s opponent in the first round of the tournament proper. 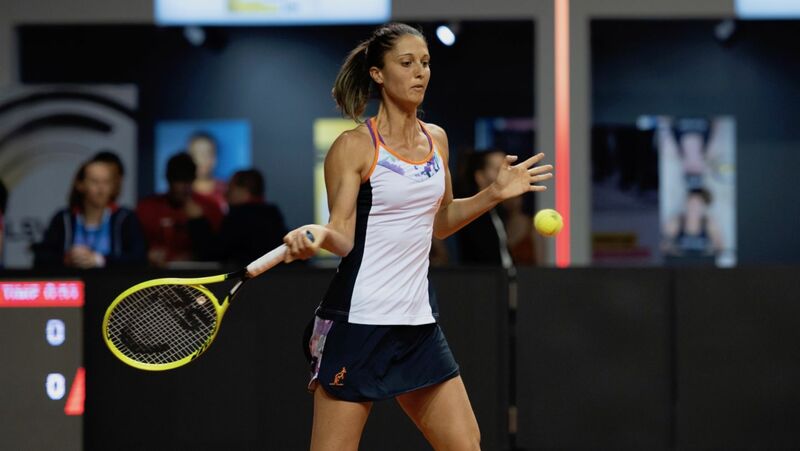 Also in the main draw are Mandy Minella (Luxembourg), who beat Vera Zvonareva (Russia) 6-3, 5-7, 6-2, and Greet Minnen (Belgium), who overcame Giulia Gatto-Monticone (Italy) 6-1, 6-7(3), 6-2. 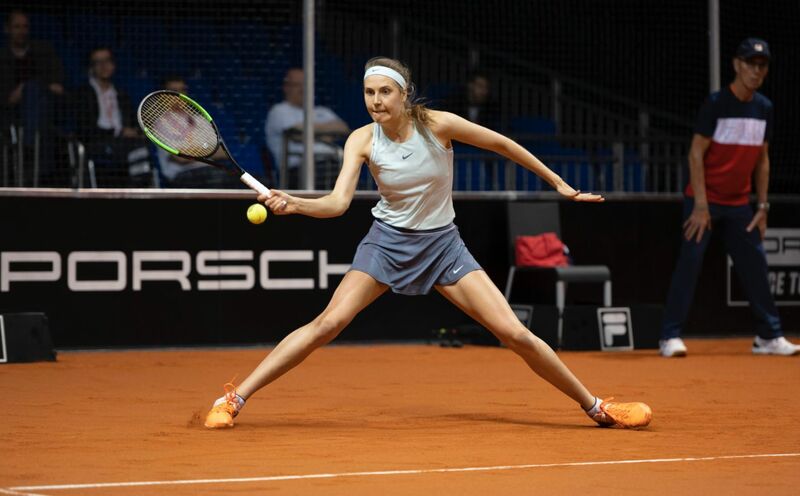 The last four Porsche Tennis Grand Prix main draw berths will be issued in the qualifying finals on Monday, and two German players have a good chance of progressing. Local heroes Anna Zaja and Anna-Lena Friedsam both produced impressive performances when advancing on Sunday. Returning to the game after a long injury, Anna Lena Friedsam was only in the qualifying draw after being given a wild card. Now the Porsche Team Germany player is a single win away from a main draw ticket. On Sunday, she defeated her teammate Antonia Lottner in an enthralling three-setter 6-2, 3-6, 7-6(1). The first set was won comfortably by Friedsam but Lottner came back to secure the second in equally convincing fashion. 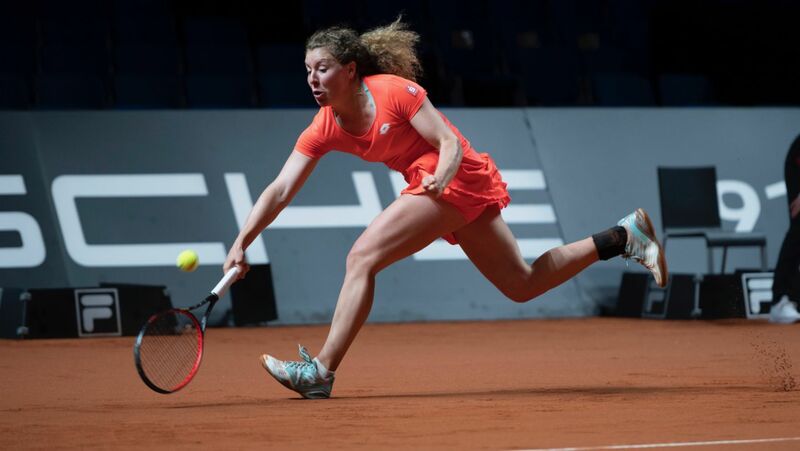 There was then little choose between the two in the third which went to a tiebreak that Friedsam, who reached the last 16 of the long-standing tournament in 2016, clinched after a match lasting almost two hours. The 25-year old will now face Tereza Smitkova (Czech Republic) who won 7-6(6), 6-3 against Jessika Ponchet (France). Anna Zaja has also battled her way to the qualifying finals. Playing impressive tennis, she overcame Bernarda Pera (USA) 6-3, 7-5. The 27-year old can now only be stopped on the way to the main draw by Sara Sorribes Tormo. The Spaniard encountered little trouble in defeating Ekaterine Gorgodze (Georgia) 6-2, 6-2. Another player with the main draw firmly in her sights is Vera Zvonareva. Once ranked in the Top 10, the Russian was a clear 6-2, 6-1 winner against Isabella Shinikova (Bulgaria). She will now face Mandy Minella for a place amongst the top 28 players in Stuttgart. The Luxembourger beat Anna Kalinskaya (Russia) 7-5, 6-1. The fourth final will be contested by Giulia Gatto-Monticone (Italy) and Greet Minnen (Belgium). Gatto-Monticone downed Magdalena Frech (Poland) 6-4, 6-4 whilst Minnen progressed at the expense of Anna Blinkova (Russia) 3-6, 7-5, 6-4. 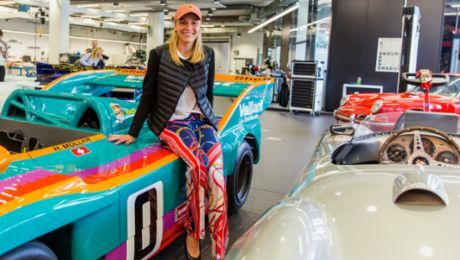 The Porsche Brand Ambassador Angelique Kerber is on the road to recovery. 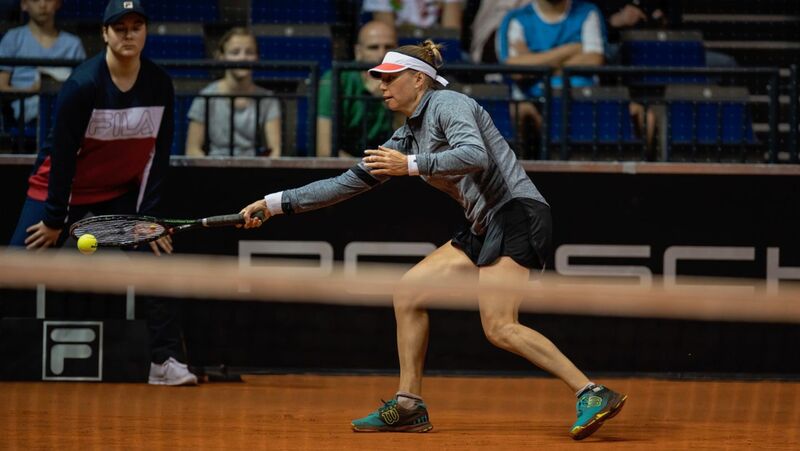 After missing the Fed Cup over the weekend because of illness, the reigning Wimbledon champion and two-time Stuttgart winner absolved her first practice session on Centre Court in the Porsche Arena early on Sunday evening. 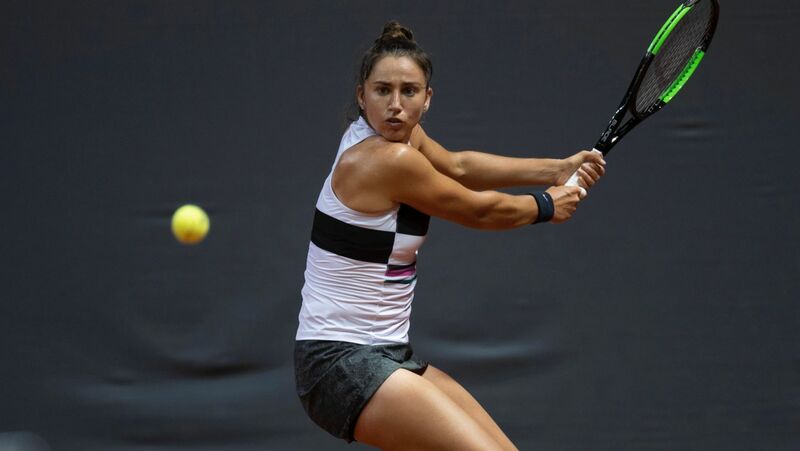 draw at the long-standing Stuttgart tournament: Anna Zaja, Antonia Lottner and Anna-Lena Friedsam all won their first-round qualifying matches on Saturday. The draw for the tournament proper at the same time promises many top class and exciting duels in the Porsche Arena. 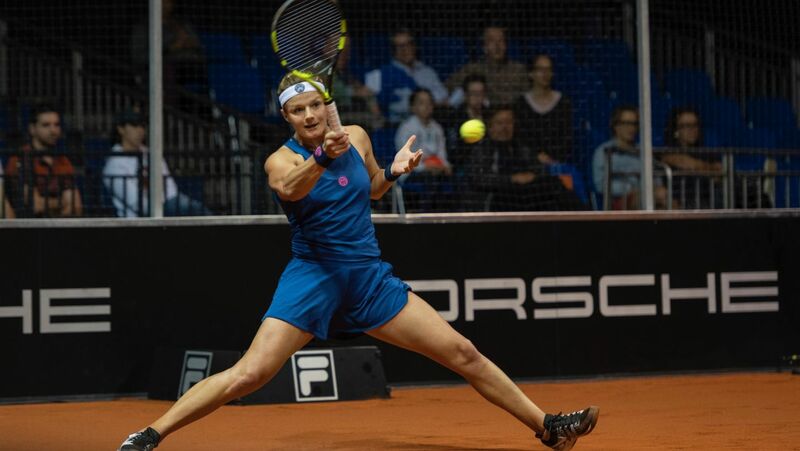 The qualifying tournament at the 42nd Porsche Tennis Grand Prix started with three German wins: local hero Anna Zaja from the TEC Waldau Stuttgart club won in two hard-fought sets against Valentini Grammatikopoulou (Greece) 7-6 (3), 7-6 (8). Her next opponent in the second round on Sunday will be Bernarda Pera (USA). 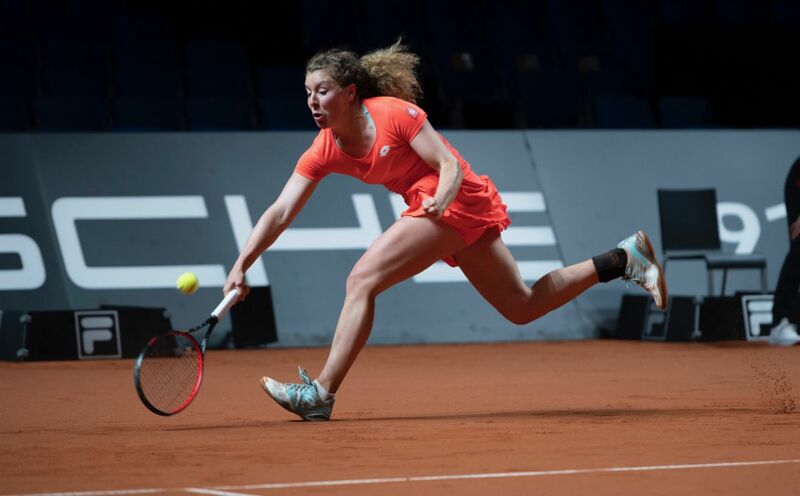 Compatriot Antonia Lottner had little trouble in beating Paula Ormaechea (Argentina) 6-1, 6-1 and will now meet Anna-Lena Friedsam, a Porsche Team Germany teammate. Friedsam won her first match 7-5, 6-2 against Ekaterina Alexandrova to cause a surprise as the Russian, the world No. 57, was the highest ranked player in qualifying. The drawing of the Porsche Tennis Grand Prix main draw promises high-tension in the first round. Four Porsche Team Germany players will have their work cut immediately in their opening matches. The reigning Wimbledon champion Angelique Kerber will face Donna Vekic (Croatia) and Julia Görges has been drawn to play the Russian Anastasia Pavlyuchenkova. Wild card holder Laura Siegemund will meet Lesia Tsurenko (Ukraine) for a place in the last 16. A qualifier awaits Andrea Petkovic. High tension in particular is promised by the duel between two Grand Slam winners and former world No. 1s – Garbiñe Muguruza (Spain) versus Victoria Azarenka (Belarus). 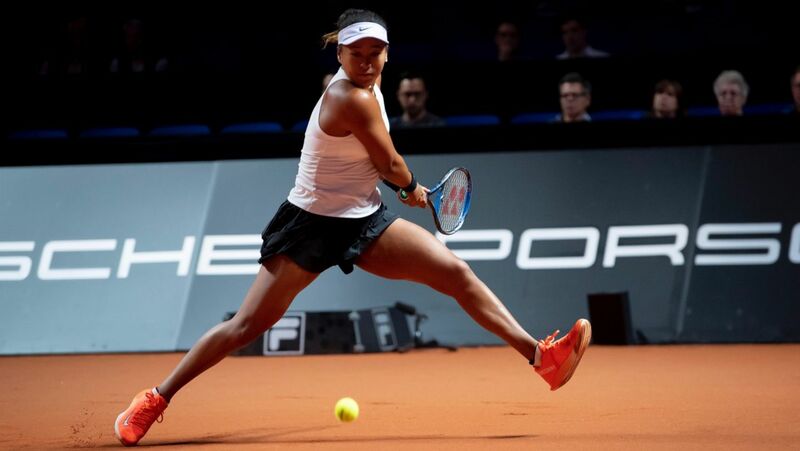 Headed by the Japanese shooting star Naomi Osaka, the new number 1, eight Top 10 stars plus the Top 8 of the Porsche Race to Shenzhen ranking will compete for prize money totaling 662,000 euro. The winner will additionally receive a Porsche 911 Carrera 4S Cabriolet as the main prize. For the first time since 2012, all the current Grand Slam winners will be appearing in Stuttgart: Osaka, who won the US Open in 2018 and then the Australian Open in 2019, will be joined by the Porsche Brand Ambassador Angelique Kerber (Germany/number 8) as the 2018 Wimbledon champion and Simona Halep (Romania/number 2), the winner of last year’s French Open. The ensemble of Top 10 stars in the high-class field is completed by Petra Kvitova (Czech Republic /number 3), the leader in the Porsche Race to Shenzhen, Sloane Stephens (USA/number 4), title-holder Karolina Pliskova (Czech Republic/number 5) plus Elina Svitolina (Ukraine/number 6), who triumphed at the 2018 WTA Finals, and Kiki Bertens (Netherlands/number 7). 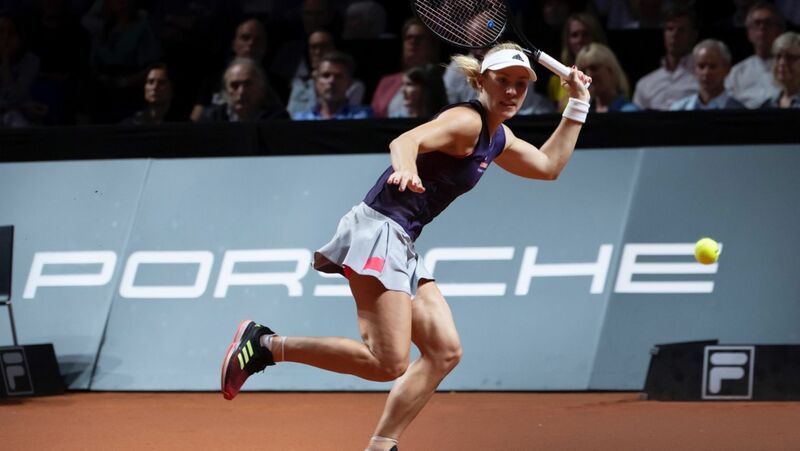 In addition to the two-time Porsche Tennis Grand Prix winner Kerber (2015, 2016), three other former Stuttgart winners – Julia Görges (Germany/2011), Maria Sharapova (Russia/2012, 2013, 2014) and wildcard holder Laura Siegemund (Germany/2017) – will also be competing. 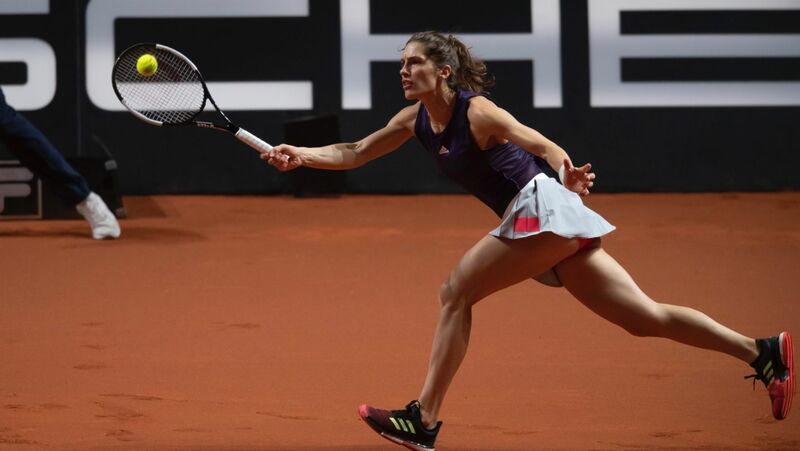 Another wildcard holder, Andrea Petkovic (Germany) will also be in the main draw of the WTA Tour’s Premier 700 event. 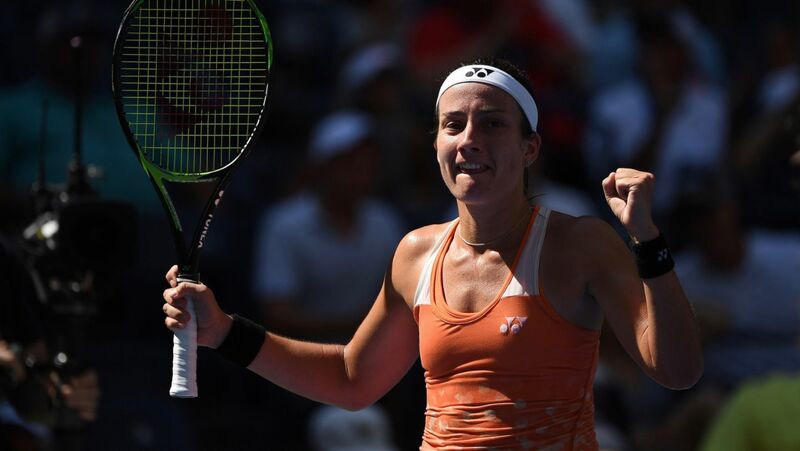 Two other Grand Slam winners will also be appearing at the Porsche Tennis Grand Prix, namely the Spaniard Garbine Muguruza (2016 French Open, 2017 Wimbledon) and the Latvian Jelena Ostapenko (2017 French Open). 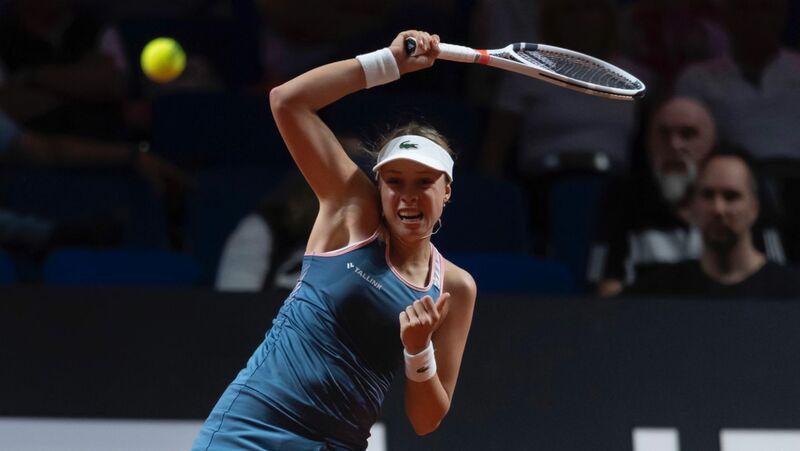 Fans in Stuttgart can also look forward to the Russian Daria Kasatkina, one of 2018’s most improved players, the Frenchwoman Caroline Garcia and the Swiss Belinda Bencic, who in February celebrated an impressive return to the top of the women’s game when winning the 2.8 million-dollar tournament in Dubai. The Porsche Tennis Grand Prix begins on Saturday, April 20 at 10.00 am (all times are CET) with the qualification which will continue on Sunday, April 21 from 11.00 am. Montag, April 22’s schedule, which begins at 11.30 am, includes the qualification finals and the first main draw matches. The start of play from Tuesday, April 23 to Thursday, April 25 is at 11.30 am. The first quarterfinal commences on Friday, April 26 at 1.30 pm. On Saturday, April 27, the first semifinal will start at 3.30 pm and the second at 6.30 pm. The doubles final is scheduled for Sunday, April 28 at and will be followed by the singles final at 4.00 pm. 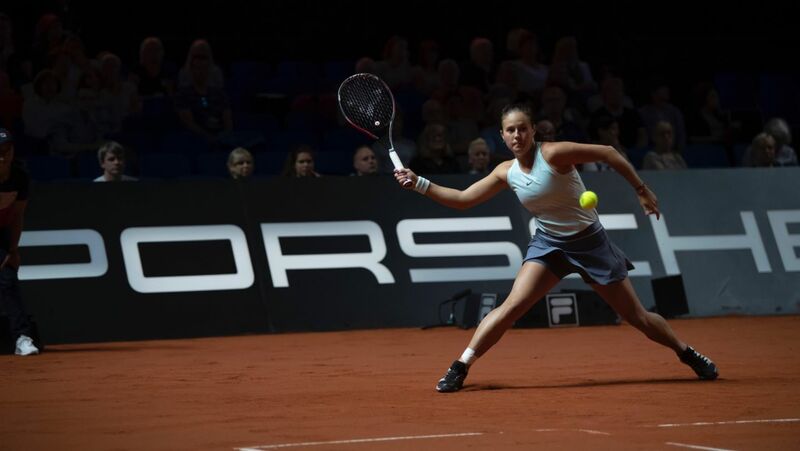 From Monday to Sunday, the most attractive matches at the 42nd Porsche Tennis Grand Prix can be viewed on the long-time TV partners SWR and Eurosport as well as on the streaming channel DAZN. The final on Sunday, April 28 will be shown live by the SWR regional broadcaster. Should a German reach the final then it will be transmitted by the national ARD channel. At the start of the week on Monday, April 22, Eurosport will televise the Turkish Airlines Tiebreak live from 6.30 pm. Every Centre Court match can be viewed as a livestream in DAZN. The n-tv news channel will broadcast the day’s highlights from Thursday, April 25. Tickets for the Porsche Tennis Grand Prix are available at Easy Ticket Service (Tel: +49 711 255 55 55) or online at www.easyticket.de. The Porsche Tennis Grand Prix forms the spearhead of the sportscar maker’s successful involvement in women’s tennis. Held for the first time in 1978, it quickly developed into one of the showcase tournaments on the worldwide WTA Tour. 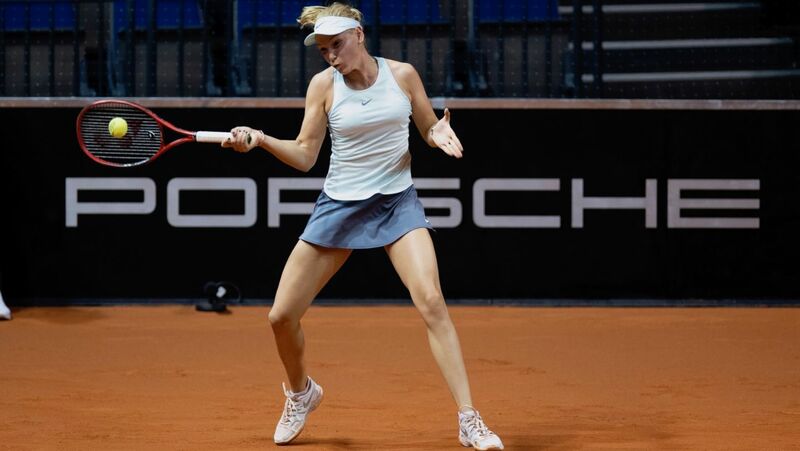 As a Premium Partner of the “Deutsche Tennis Bund” (German Tennis Association), Porsche has been supporting the Porsche Team Germany in the Fed Cup since 2012 and fosters up-and coming players within the Porsche Talent Team set-up. The world class players Maria Sharapova, Angelique Kerber and Julia Görges all represent the company as Brand Ambassadors. 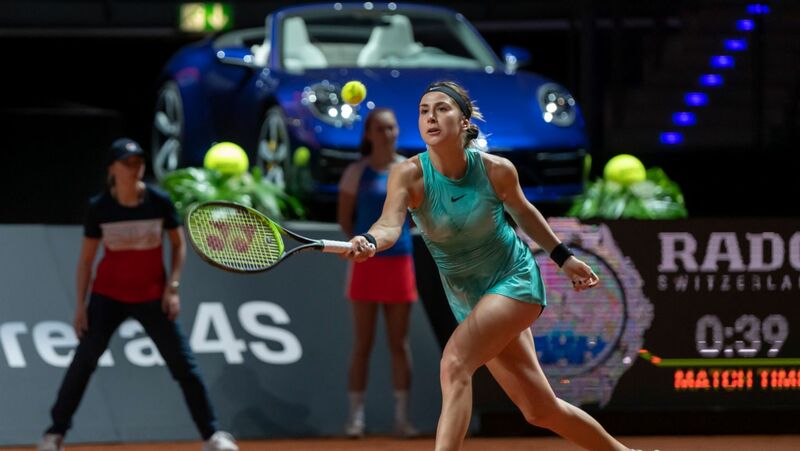 As a part of its successful partnership with the WTA, Porsche is the title partner of the Porsche Race to Shenzhen, the official qualification ranking for the WTA Finals that will take place for the first time in the modern metropolis in south-east China from October 27 to November 3 2019. 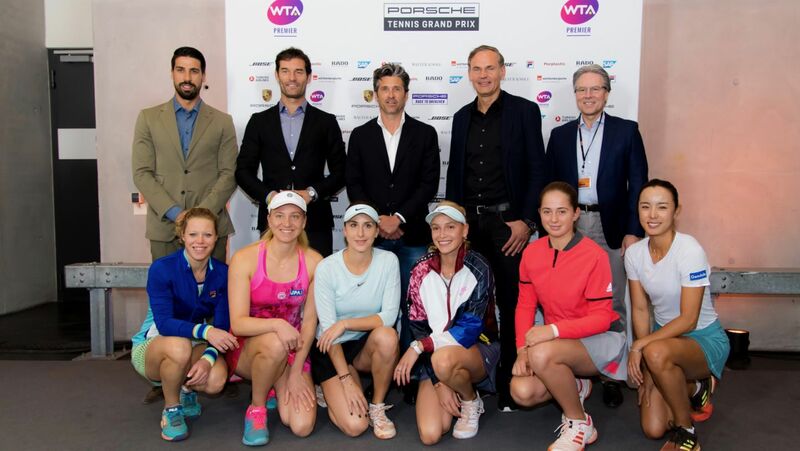 Porsche is the exclusive automotive partner of the WTA and WTA Finals as well as the automotive partner of the WTA tournaments in St. Petersburg (Russia) and Dubai (United Arab Emirates). 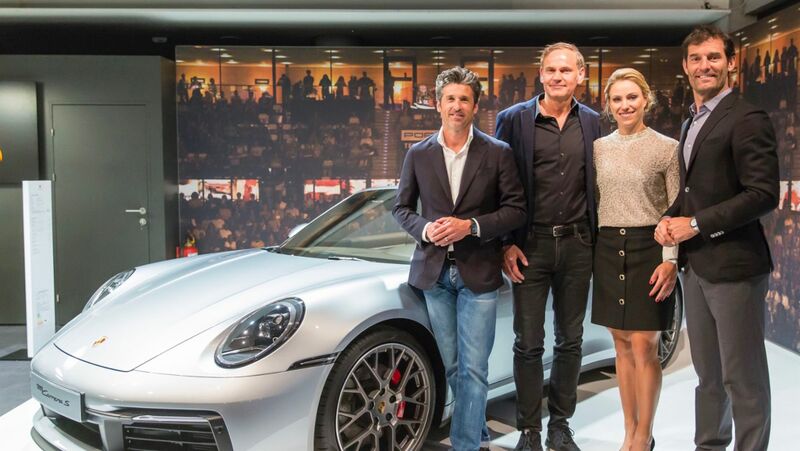 What makes the Porsche Tennis Grand Prix so special? The Newsroom takes a look behind the scenes.